Looking For More Joy, Pleasure Or Creativity In Your Life? Really, who doesn’t want more of these life affirming qualities?! If you’re someone who is chronically low on the FUN and FREEDOM thing you will benefit from some of the ‘treatment’ suggestions below. Then rebalancing your Sacral Chakra could help! In simple terms, Chakras are energy centers, vortexes or wheels in and around our bodies where energy gets processed.Take a peek at this earlier writing to learn chakra basics and information on the Root/1st Chakra. The treatments listed below will help you begin to release shame and guilt and be able to come more fully present in your body resulting in a freer, more authentic existence. Balancing the Sacral Chakra allows us to begin to release fear, guilt and shame that have either been programmed into our lives or learned some other way. In balancing this Chakra we begin to feel free to be human at the most basic level, physically, sensually, creatively, passionately and sexually. Swivel Those Hips. Let Loose! If you’re not familiar with these poses you can look them up on-line or schedule a Yoga session and we can play with all of these! Carry one or more of these stones with you when you’re feeling closed down. They will help open you up to creativity, life and feeling. To balance Chakras with Reiki we will do an assessment of each of the 7 major chakras by dowsing with a pendulum. Next, crystals will be tested for compatibility with your body and placed at specific points on your body/or table and a guided meditation and Reiki session will ensue. A Chakra Balancing session takes about 75 minutes. A specific session working on 1 specific Chakra can take place in the same amount of time and will also include practicing Yoga Poses and chants. You can make your appointment here. After your session you will be given some ‘homework’ to maintain the chakras that were shown to be out of balance. Click link above to hear this chanting. You can simply listen or join in on the chant for a more intense vibrational healing. I like to lie down and let the sounds wash over me. It’s an hour long recording but you don’t need to listen to the whole thing. Just see how it feels for you. I’d give it at least 10 minutes. Try one of these fragrances in the form of essential oils (use in a diffuser or rub the oils directly on your skin) or incense (burn) when trying to open yourself up to more feeling, creativity and acceptance. Essential Oils can be purchased at Whole Foods or on-line. Be sure they are Pure essential oils. Left nostril breathing called Ida Nadi breathing will help to open up the second chakra as it brings forth moon (ruler of the tides, oceans and all the water in our bodies) energy. Before you start you may want to blow your nose to make it as clear as possible. Begin in a comfortable seated position with your back erect, head in line with your spine. Close your eyes or at least soften their gaze and then close off your right nostril with the first two fingers of your right hand. Now inhale and exhale through the left nostril only trying your best to take full, complete inhales filling the whole chest cavity and even up to your throat up with breath. On the exhale release all the stale breath full of toxins by squeezing the tummy muscles to press out all the air. Repeat until you feel ready to stop. Try this simple Sacral Meditation to aide in balancing your 2nd chakra. Lie down on your back. Don’t you like this already?! Close your eyes and allow your body to become soft and heavy. Now on your next inhale imagine a vibrant orange light entering your lower abdomen and permeating through to your lower back. Your whole Sacral area is full of swirling, energizing orange light/energy. Simply notice how it feels to you. When you feel done, on an exhale, shrink the light down to dot size and then let it finally disappear. Physical Activity: Dancing, joining an adult sports team – hockey, Climb a Tree (my favorite!) soccer, volleyball, Skipping, Play Hop-Scotch, Jump Rope, Ride Bikes, Swing on a swing, etc. None of these things have to be done to look a certain way. Simply do them for fun! Try to get fully absorbed with the activity, getting lost in the joy of it. Feel free and flowy! Orange! A perfect color for fall and Halloween. Wear more orange, eat orange foods (oranges, carrots, sweet potatoes), bring some orange into your decor: some throw pillows, candles,blankets, wall hangings. You can repeat this statement (mantra) a few times before you get up and before you go to bed, saying each word slowly and meaningfully. As you work with this or any mantra you may find your inner knowing wanting to change some of the words to make it more resonant for you. Go with that! Sanskrit Name: Svadishthana – Meaning Sweetness. Location: 3 inches below the naval. Now, go get your silly on! May you be open to receive and relish in all of the sweetness, joy and love the world has to offer you. The healing work practiced at Reiki Of Greater Boston in Waltham, Massachusetts is geared towards activating the innate power in every individual that has been sidetracked, weakened, or paralyzed from exposure to the toxic forces in our world. Through the healing power of Reiki, the body is moved toward its original state of health, the mind directed towards peace and the heart guided toward its true purpose. Reiki is a non-religious based energy healing treatment that promotes healing, stress reduction, and relaxation. Through the gentle placement of the practitioner’s hands on the client’s fully clothed body, universal healing energy called Reiki is channeled to the client. This positive energy facilitates conditions in the body that allow healing to occur. Throughout our daily lives, we are not included on our list of priorities. Grocery shopping, working long hours, and providing for others puts us all continually out of balance, disrupting the forces inside us, causing illness, unrest, and despair. To get health back on track we must unearth the truth of our purpose: the truth of who we are. At Reiki Of Greater Boston, Reiki therapist Lisa Hassett performs energy work that assists Boston residents in exposing the lies we live that contribute to our mental and physical illnesses. For countless people, Reiki’s focus on stress reduction is the first step on the road to recovery. Conditions like Sadness/Depression, Stress, Anger, Fibromyalgia, Lupus, and other Auto-Immune disorders are particularly responsive to this treatment in combination with traditional treatments. Luckily for folks in the Boston area, Lisa Hassett is sharing the healing power of Reiki with people suffering from these debilitating conditions. However, Hassett admits that Reiki is not a “silver bullet.” Just as it takes time to enter these states of stress, it takes time and energy to escape them. Although Reiki works independently to facilitate mental and physical healing, it works best when clients choose to be active in their path to healing and participate in the conjunctive services offered by Hassett: breath work, meditation, crystal healing, and life coaching. Hassett also provides clients with helpful homework such as books to consider reading, journaling assignments, and practicing the breathing, meditation, and yoga techniques she introduced to them. For Hassett, these techniques must simply be put into practice to experience their full benefits. Hassett herself has experienced firsthand the rich benefits of yoga, focused breathing, and Reiki. After suffering from a debilitating illness in the late 90s, when no Western medicine could help her, she turned to these methods. This restorative combination pulled Hassett out of death’s grip. Since then, Hassett has dedicated her life to helping her fellow Earthlings find relief from physical and emotional illness. And today, June 27, 2017 is National PTSD Awareness Day so I thought I’d share some of what I’ve learned about this debilitating condition while working with clients suffering from but triumphing over this situation. Medications such as anti-depressants.In addition it is recommended to take time to relax via proven techniques such as Meditation, Deep Breathing, Massage, Yoga and Reiki. These treatments can activate the body’s relaxation response and ease symptoms of PTSD. 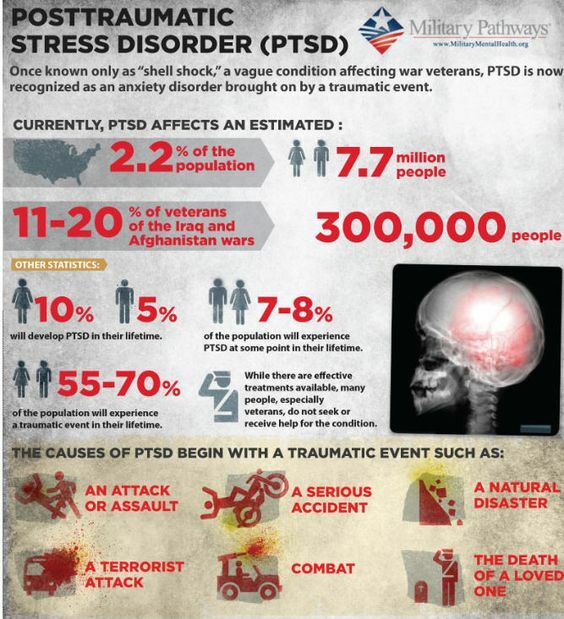 Contact the Veterans Crisis Line: 1-800-273-8255, press 1 (text 838255)To Learn more see National Center for PTSD. ps-Caveat here: I am not pretending to be an expert in this disease. It is complicated and anyone suffering needs assistance from a professional specializing in this area. I am only just learning, doing my best to help people learn how to relax and trust again. With this post I am merely doing my small part in promoting Awareness of PTSD. It’s real. Hello friends. Here’s a little interview I did recently where you will learn a little bit about my Healing business and what brought me here. Apologies to those who’ve already seen it on Social! Today we’d like to introduce you to Lisa Hassett. I began teaching Yoga in 2001 and practicing Reiki in 2004. Continuing to offer both healing practices today along with Life Coaching, Energy Clearing and Crystal Healing allows me to access remedies for depression, stress, insomnia, autoimmune issues, etc. I also provide Reiki for Cancer patients in hospitals where side effects of medications are lessened and Reiki relaxation puts the body in a better state for healing itself. er power’s signs leads you in the right direction once you let go of the ego’s ideas of what things ‘should be like’. These are some of the things we work toward at Reiki of Greater Boston. Alright – so let’s talk business. Tell us about Reiki of Greater Boston – what should we know? Clients usually start out with either a Reiki Healing or Yoga session and from there, depending on their needs we may add other services: Crystal Healing, Life Coaching, Energy Clearing, Meditation, Breath Work. A combination of these methods bring people to balance & health Spiritually, Emotionally and Physically. I guess you could say I specialize in overall health with a strong emphasis on emotional and spiritual. Both my Reiki teachers have been superb in teaching me the basics and guiding me to the truth. My husband of 34 years deserves lots of props for supporting me in many ways especially when I work nights, days and weekends. I think that’s it because I’m very much an introvert so I enjoy working alone without bosses and co-workers, etc.